“Like, we don’t have any big giant proof,” Bonified added. Project Veritas was formed by activist James O’Keefe in 2010 with a mission to "investigate and expose corruption, dishonesty, self-dealing, waste, fraud and other misconduct." It has since been sued for its information-gathering methods, primarily its targeting liberal organizations, and presenting its findings in a misleading, highly edited format that lacks the context of the entire conversations caught on tape. The latest video shows Jones, a political commentator who regularly appears on CNN and has made statements about the Russian hacking allegations, standing outside what appears to be a CNN studio. A sign outside the building shows the date, June 26, 2017, which Project Veritas confirmed was the date it was filmed. “What do you think is going to happen this week with the whole Russia thing?” the undercover reporter asks Jones. “The Russia thing is just a big nothing burger,” Jones says with a shrug. “You don’t think that,” the cameraman says. “There’s nothing there you can do…,” Jones continues, before trailing off to greet a man who is approaching. The footage then ends. “No other journalists are ever expected to release their raw notes to the press, so why should we release the raw video? Nothing said in the video was taken out of context,” it said a statement. Project Veritas' Stephen Gordon told RT the latest video was "in response" to criticism that Bonified is not involved in CNN's political coverage. 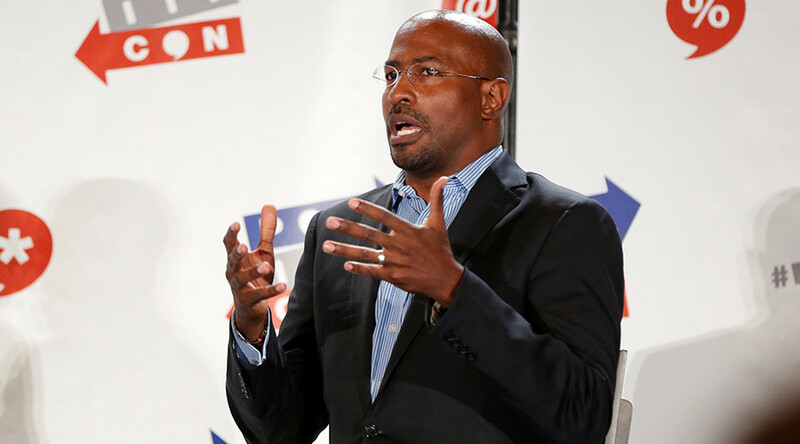 “No one can argue Van Jones is not a political commentator on CNN,” he said.